Better than easy. It’s brilliantly simple. for internal mail packages once a carrier has delivered them to your facility like mailroom / warehouse / stockroom. Simply take a picture of the address label and iMayl receives the package into the web based tracking solution. The chain of custody begins. After taking the picture you can confirm receiver and add any necessary details about the package. Click save and an on-demand internal package tracking label can be printed and receiver is notified by email of its arrival. 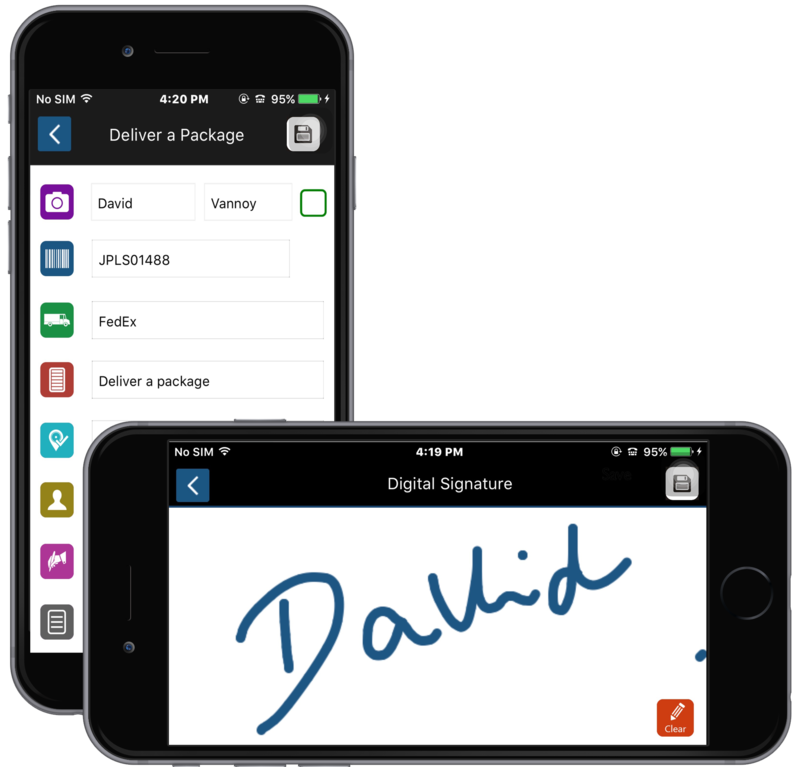 Mailman making delivery to receiver takes a picture of the tracking label and can also capture a signature. 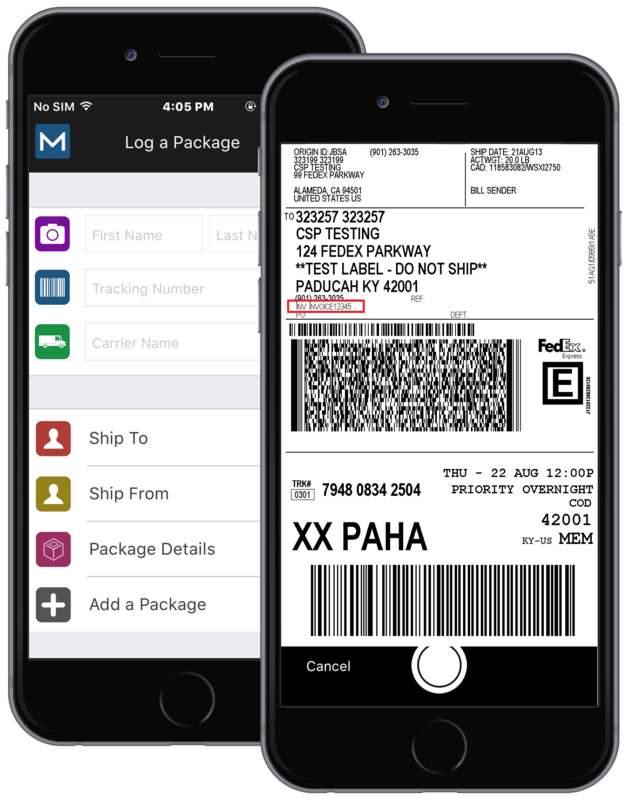 Simply take a picture of incoming mail packages even by standard iOS/ Android devices and let iMayl do the rest. iMayl notifies receivers when packages are received and out for delivery. iMayl records all receiving, tendering, and delivery events so you have complete chain of custody or trail of events. iMayl is eco-friendly by allowing you eliminate the need for paper, paper clutter on your desk and in our landfills. 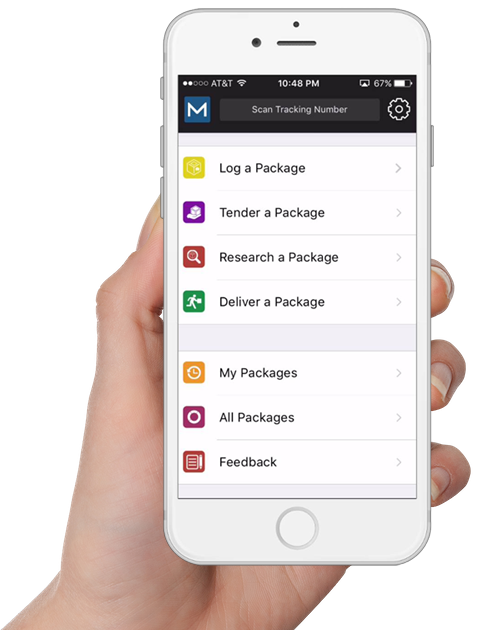 iMayl’s dashboard and mobile app lets you see the movement of all packages within your organization. 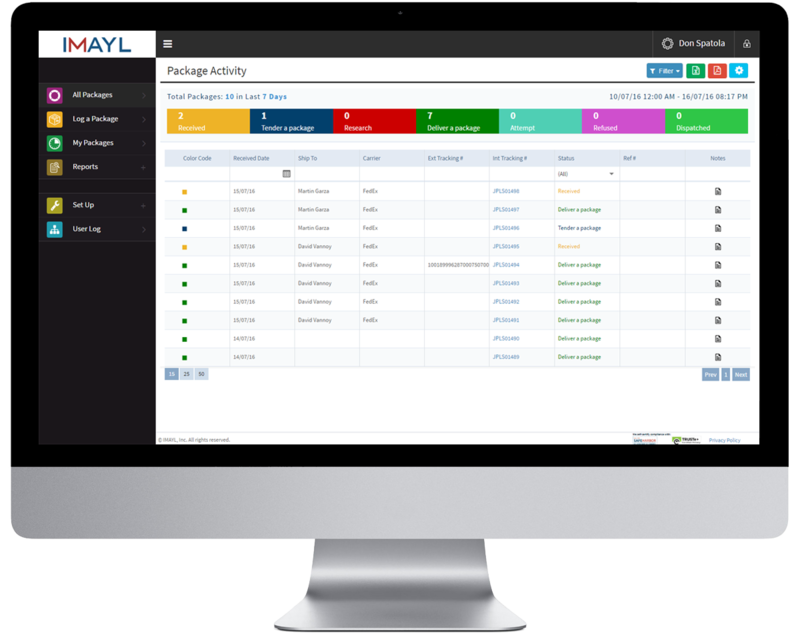 iMayl allows all users and administrators to search for package status information within seconds. iMayl eliminates paper-based and manual processes with a fast, accurate, and an easy to use system. 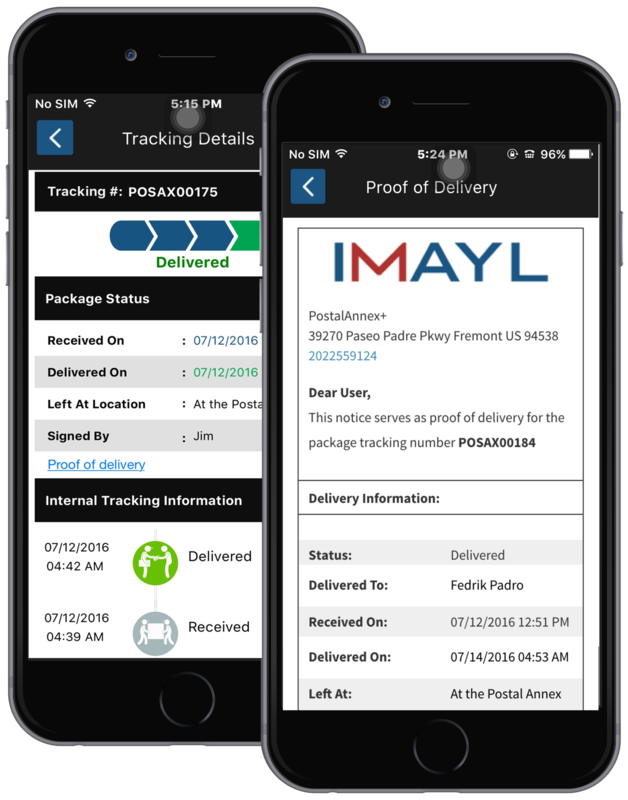 iMayl makes receiving and delivering packages easy. It also reduces the stress & anxiety resulting from lost packages. 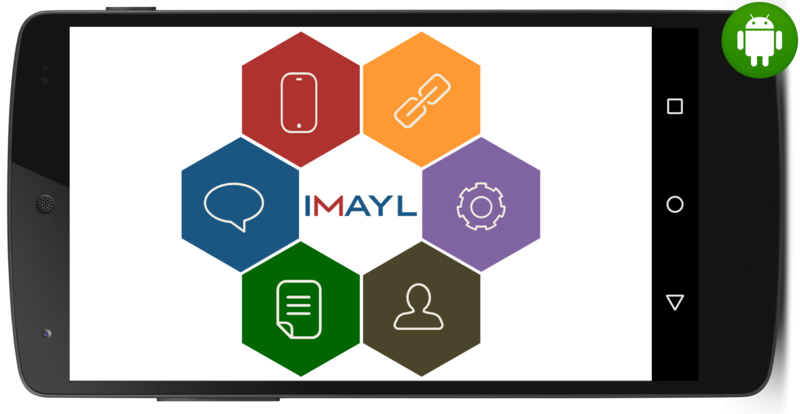 Why there’s nothing quite like iMayl, a state-of-the art mailroom management SaaS Platform. 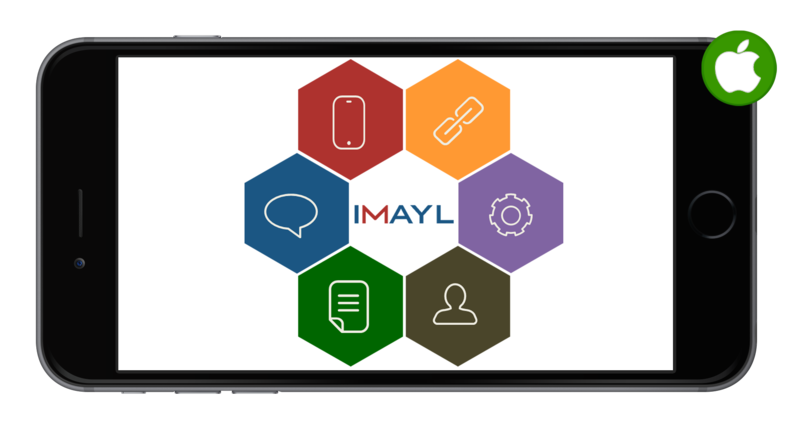 iMayl fully adapts to your process and doesn't need technical resources. 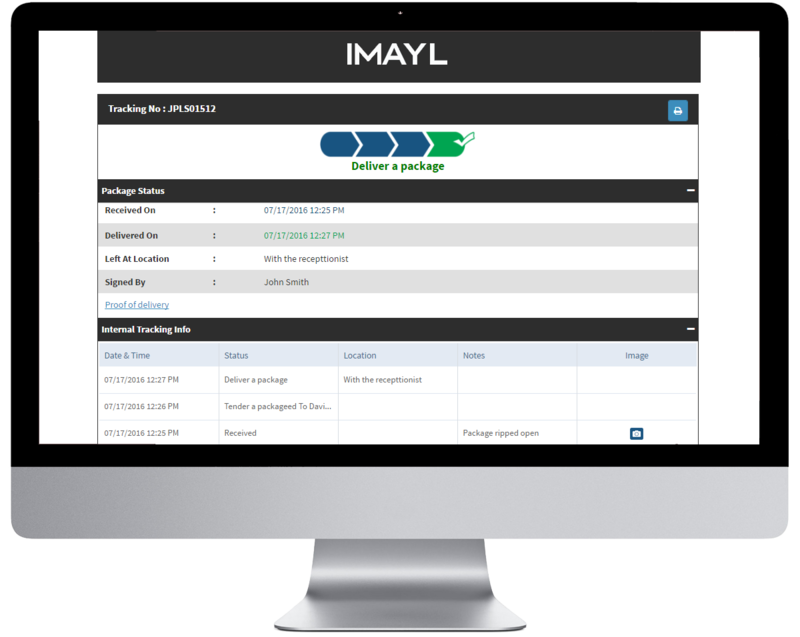 iMayl’s package logging and tracking software is intuitive and a breeze to customize, so you can focus on business instead of learning a tool. Software should be more than a collection of features. That, above all, a software should be absolutely simple, flexible, and magical to use. Get the iMayl app for Android from the Play Store. Get the iMayl app for iPhone from the App Store. how iMayl can help your needs.